Circle Leadership | Rule Your World! “Circle Leadership – Rule Your World!” is the book written by Alessandro Parrinello and Ashok Narayanan for laying and widespreading all over the world the foundations of the new pragmatic and revolutionary Circle Leadership discipline. In our walks of our everyday life we are bridged across by our family, our relationships and our work environments. We humans are in constant desire and in search for our success. Which kind of success are you searching for? Are you respecting your profound nature? Are you aware of things deep down inside you for being an exceptional leader respecting yourself and others? Focused on the new leadership science of “KNOWLEDGE, AWARENESS AND INFLUENCE” and on a pragmatic approach rewritten from the signature observations of the modern world ‘Circle Leadership – Rule Your World!’ is an inspirational and indomitable journey thanks to which you will discover a new, unique and outstanding leadership philosophy. The cutting-edge way for being a Leader reaching a profound alignment with oneself based on knowledge’s of the deepest characteristics of your Body – Mind Balance with imbibing the Emotions, Thoughts and Imagination on the profound principles infused with ancient Yoga and meditation disciplines. Do you know why your process of personal evolution is not so far from its beginning? Because you will discover that WE HUMAN are neuroplastic entities “deputy” to naturally evolve in direction to our wellness and well-being. It is only your choice: join our Circle Leadership’s phIlosophy and choice to become the next walking empire! … a new revolutionary discipline whose aim is to drive “US Human” to reach our own SUCCESS living a professional and personal life full of meaning. HUMAN are considered Marvellous Inscindible Entities who live in the complicated modern world trying to give their best for reaching their SUCCESS. 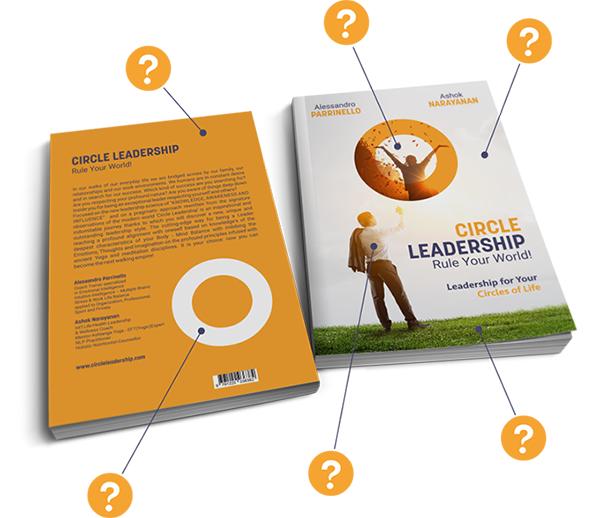 Circle Leadership contains resources, knowledges, competencies, principles, values and visions inspired by the life, studies and professional experiences realized by Alessandro and Ashok. Studies embrace different fields like ancient and modern history, psychology, physiology, neuroscience, philosophy and leadership. Circle Leadership is something at your disposal generated for YOU. No matter who you are. Man or woman. The young or the eldest. No matter how much your past choices were good and how many wrong things you did. Follow the Circle Leadership’s philosophy for reaching your “REAL SUCCESS”! Orange combines the energy of red and the happiness of yellow. Orange represents enthusiasm, fascination, happiness, creativity, determination, attraction, success, encouragement, strength, endurance and ability to socialize. Why… Woman inside the Circle? Woman represents the “Great Mother Nature” and the mistery from where We all human are coming. She represents the begin of all our life circles. Moreover She also reflects purity, care, respect, energy and family. We trust that world evolution will begin with a spark coming from women. Light blue background is the start for everyone. 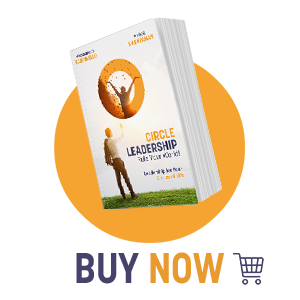 Also immediatly now you can can start to colour your life in a new, pure and fresh way thanks to your circle leadership evolution. Circle completes every human being and each life cycle. It also represents the four levels of consciousness and awareness of our “Circle Map”. Why… Man Outside the Circle? Thanks to Woman our circles start. Thanks to “Man” our Circles are completed. “Man” means both male and female who work together hand in hand for their evolution sharing their energies for reaching their profound wellness and wellbeing. Earth is our human paradise where all start green and go back to green. Remember to keep your grass green, fresh and clean not only now but also in the future. Keep in mind to be always grounded in your World to build your real happiness.